We cruised by the Breakers Club and Mall at Bonetto Land to check out Pawl Nowles last week. Paul was hammering out ZZ Top’s Rough Boy as we settled onto the pier. Born and raised in Cleveland, Ohio, Paul is an accomplish studio musician and recording engineer/programmer in RL. His real life experience creates a professional presentation and his stage presence is as friendly as his infectious laugh! Paul shares the music of Bon Jovi, Warren Zevon, Peter Gabriel, Don McLean….among others with his fans in SL. His voice is defined and range is well rounded, clean and smooth. His deep tone marinated the lyrics of Piano Man ever so seductively and “Oh, la la la, de de daLa la, de de da da da” has never resonated so deliciously. 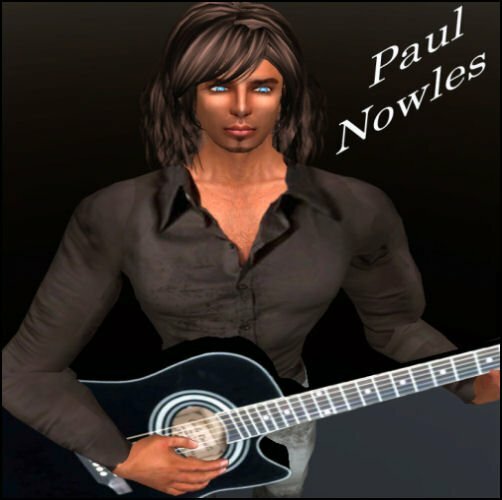 Be sure to check out Paul Nowles live on SecondLife. You can view his calendar here and even stop by Trax to check out his listening both.